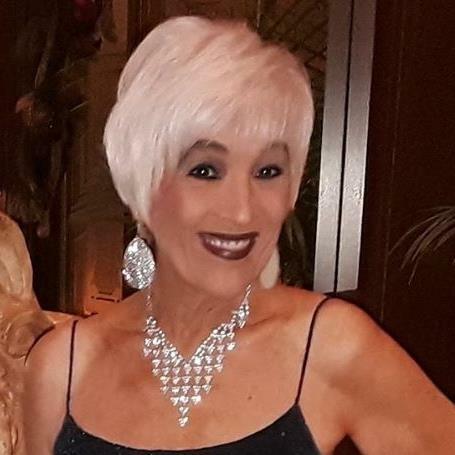 Dianne Buntyn Ball Johns passed away Thursday, Feb 7, 2019, with her loving husband, 2 daughters, and her Granddaughters by her side. She fought a long, corageous, 20 month battle with cancer. Dianne was 67 years old, and was born in Union, Mississippi, on Aug 24, 1951. She was the daughter of James Ollie Buntyn and Billie Frances Buntyn. She graduated from Decatur, Mississippi, High School in 1969. She worked, in her early years, at South Central Bell (Now AT & T) as a long distance operator for 15 years. In 1970 and 1971 she had her daughters, Bridgett and Allison. She moved to Jackson TN in 1984 as the owner of Jaco’s Music Store. Later, in 1991, she opened Real Estate World, a successful real estate company, once employing 36 real estate agents. In Oct, 1993, she married the love of her life, Sam Johns. Dianne had the ability to light up any room she entered, and she showed a dynamic personality like no other. She leaves behind her husband of 25 years, Sam Johns, her daughter and son-in-law, Jimmy and Bridgett Key of the U.S. Virgin Islands, another daughter & son-in-law, Allison & Bret Jowers of Alamo,TN , a brother, Junior Buntyn of Decatur, MS, and four grandchildren who loved their Mimi dearly-Hayden Presson, Madison Cathey, Tyler Griffin, and Reese Griffin. Dianne’s wishes were to be cremated and she requested a party in her honor, rather than a traditional service. Anyone that knew Dianne would expect this approach to the end of her life, rather than the traditional funeral. We will have a “Celebration of Dianne’s Life” on Feb 26, at 5:00 p.m. at her home at 287 Stonehaven Cove, Jackson, TN, 38305. All who loved her are invited. Dianne Johns-Wife, mother, Grandmother, sister, business owner, but most of all, “friend”, will be misssed by all.